It is not known what causes bruxism, and no long-term treatment has been found. Traditionally, patients suffering from bruxism have been encouraged to use mechanical devices such as custom-fitted mouth guards. These devices protect the teeth from damage but do not prevent the clenching and grinding itself, and therefore do not prevent the pain and discomfort bruxism can cause. Most patients have already seen their dentist and use night guards, a dental appliance to help control the deleterious effects on the teeth. Medical practitioners have recently recognized that the cosmetic benefits of neuromodulators such as Botox® can also be used to safely and effectively treat bruxism. Botox® contains a protein called Botulinum Toxin Type A, which scientists believe blocks the transmission of nerve signals to the muscles and inhibits their normal functioning. When injected directly into the muscles that control the movement of the jaw, Botox® relaxes the muscle and prevents it from engaging in the powerful clenching movements that lead to teeth grinding. When injections are repeated at regular intervals, patients have found significant relief from this involuntary, stressful, and painful condition. Botox® is widely used to treat a variety of medical and aesthetic issues, and has proven extremely safe and effective when used properly and by a qualified surgeon. Botox® offers a revolutionary new way to provide relief to individuals suffering from bruxism and the pain and dental problems associated with prolonged teeth grinding. In order to treat bruxism, Botox® must be injected into the very delicate, sensitive areas of the face and jaw. 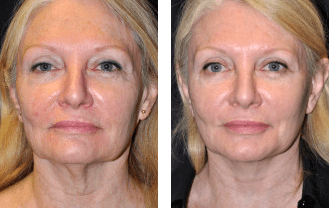 It is critical to select an experienced plastic surgeon, such as Dr. Brent Moelleken, who has the knowledge and skill to administer the injections without injuring the parotid gland or any other arteries or nerves deep within the facial tissue. 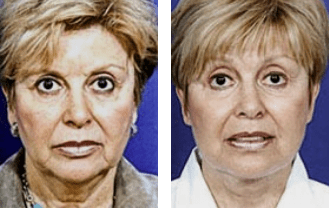 At Moelleken Plastic Surgery, with office locations in Beverly Hills and Santa Barbara, CA, Dr. Moelleken has a comprehensive understanding of facial anatomy, and will take all necessary precautions to ensure the safety and comfort of each and every patient. Botox®injections for the treatment of bruxism can usually be completed during a 20-30 minute visit to Dr. Moelleken’s office. They do not require any anesthesia or post-procedural downtime. The muscle relaxation resulting from the injection will become apparent approximately 5-7 days after the initial treatment. For most patients, the treatment will last between 3-7 months; injections must be repeated to prolong the results. Bruxism is a serious medical condition that can significantly impact your quality of life. Fortunately, modern medical technology in the hands of an experienced, knowledgeable surgeon can offer relief from the headaches, pain, and tooth damage. Dr. Brent Moelleken is an experienced plastic surgeon with extensive knowledge of the delicate structures of the face, how they are impacted by bruxism, and how neuromodulators such as Botox®can be used safely and effectively to treat this painful condition. If you suffer from bruxism or nighttime teeth grinding and would like more information on whether Botox®treatments might be right for you, please contact Moelleken Plastic Surgery. We look forward to speaking with you, and to scheduling your initial consultation today.